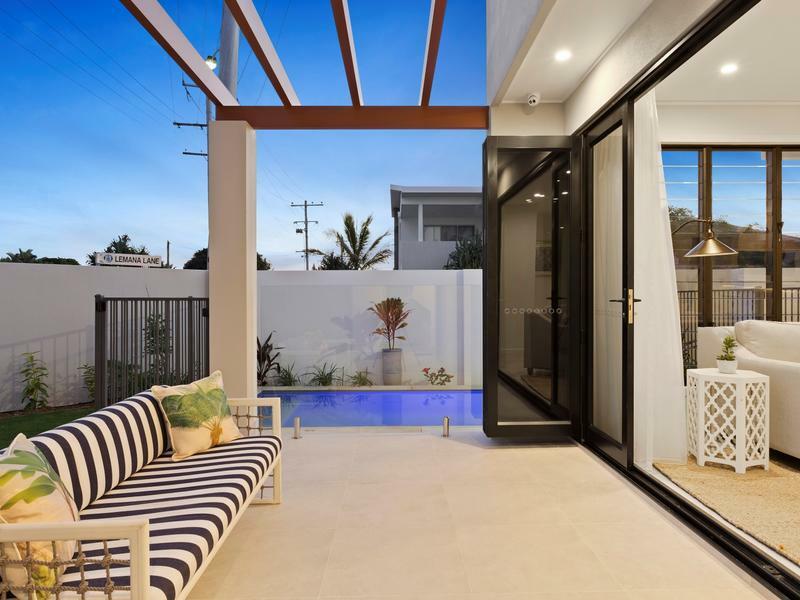 This beautifully presented brand new home offers contemporary elegance in a sought-after coastal setting. Boasting Carrara marble finishes throughout, modern kitchen with European Smeg appliances and butler’s pantry, multiple living areas, state-of-the-art technology, plus an in-ground pool in your private courtyard, this luxurious and low maintenance home is the perfect complement to an enviable Burleigh Heads lifestyle. Make no mistake, this property will be sold on or before auction. Centrally located to Burleigh Head’s vibrant hotspots, including Paddock Bakery, Burleigh Social and all the enticing offerings of James St, as well as only moments to the surf and sand of Burleigh Beach, you’ll be the envy of everyone when you take possession of this contemporary home. Do not delay, contact Josh Willatt on 0405 654 015 today. Contemporary living meets cottage charm with bonus dual living opportunity!